Technology as a whole got matured right now especially in the past couple of years. In the case of smartphones, 2018 has been a fruitful year where the transition happened so fast. From thick bezel to notch, physical fingerprint scanner to in-display scanner, bump up to triple camera setup from double and more. Even though it’s not mind-blowing, it is good to see the OEM’s figuring out new ways to stay relevant according to the trend. In this contest some win, some lose and some go unnoticed. 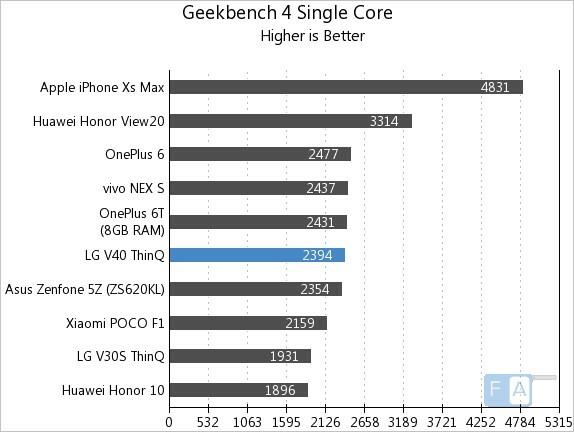 LG V40 ThinQ, ladies and gentleman belong to the last category, and we are not surprised. With this specification on papers, nothing can go wrong, right? Well, you are partially right, but not completely. 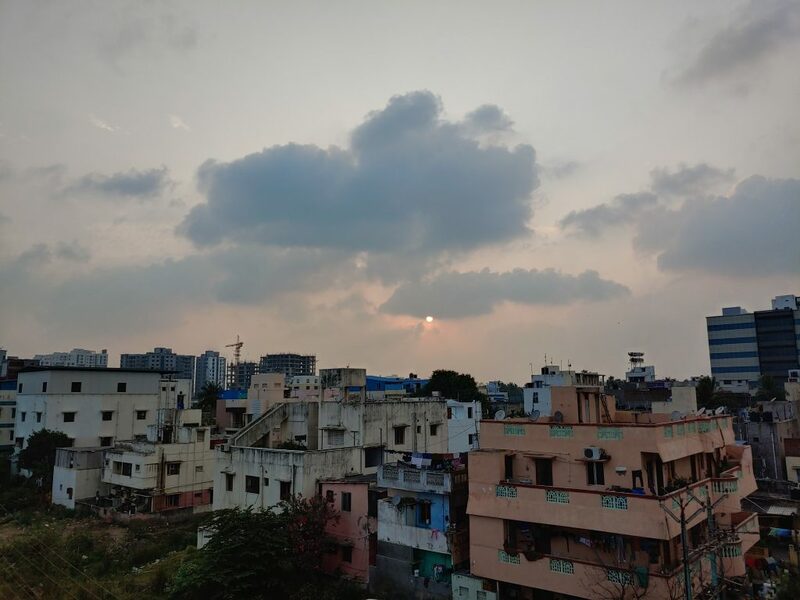 We got hold of LG V40 ThinQ for a good amount of time and here is our take on it. 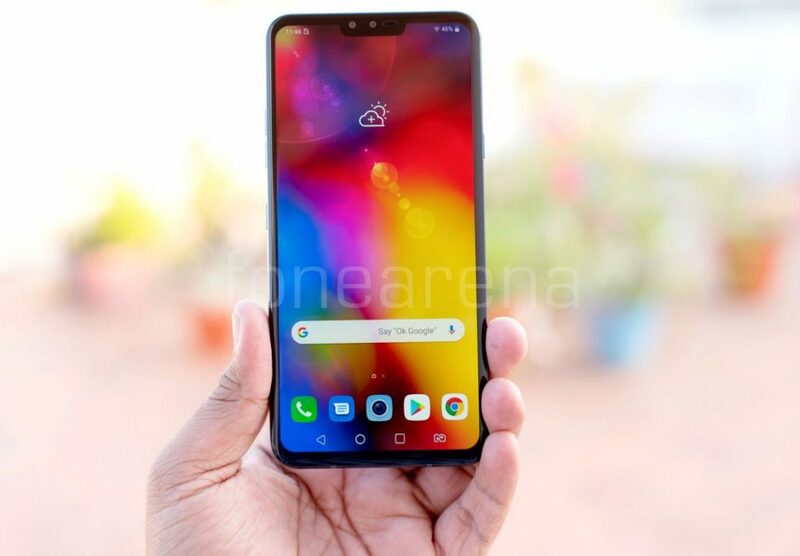 The LG V40 ThinQ sports a 6.4-inch QHD+ screen with 19.5:9 aspect ratio which translates to 537ppi. It also supports HDR 10 content as well. It has a notch smaller than the iPhone XS Max. With a 6.4-inch display, it feels a bit smaller and surprisingly lighter. Coming to the display, it is super bright and easy to read, even under the bright sun. The colours are punchy, viewing angles are good, the texts look sharp and of course, the notch is easy to ignore. 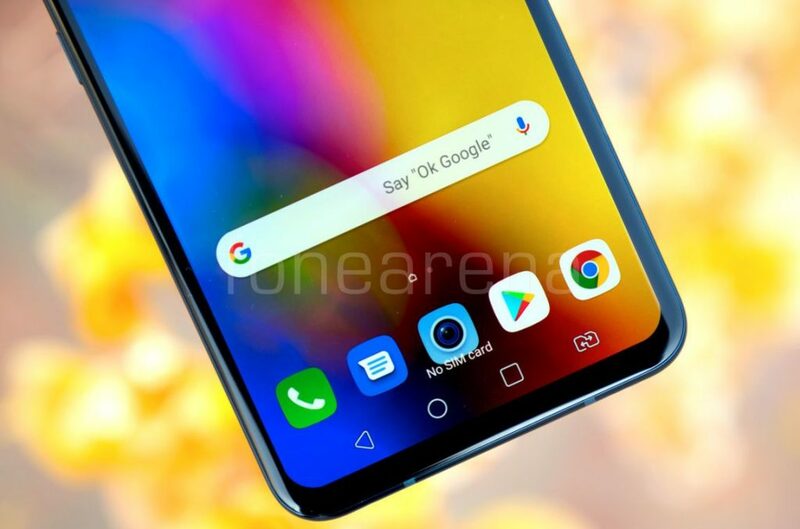 Under the display tab in settings, the LG V40 ThinQ has seven different colour profiles, including a customisable “Expert” mode. Moreover, users can select the screen resolution from HD, Full HD and QHD+. If you’ve enjoyed V30, you will feel home with LG V40 Thinq. It looks and feels a lot more premium than V30+ Thinq. The rear side of the device uses Silky Blast process that etches the tempered glass back with microscopic pits to create a smoother matte finish so it is not slippery when holding and is also resistant to fingerprints and stains. Moreover, it offers different shades of blue from various angle. Since it comes with a matte finish, it’s doesn’t attract fingerprint. On the sides, LG uses an aluminium frame that feels fantastic. The 2.5D curved glass display for that matter melts into the frame much like the way a Samsung device might. In addition to the usual buttons and SIM slots, users do get an extra button (just like Bixby) to summon Google Assistance. The device measures 7.7mm in thickness and weigh around 169grams. Just like other LG flagship smartphones, the V40 ThinQ has MIL-STD 810G military-grade durability and is IP68 rated for dust and water resistance. 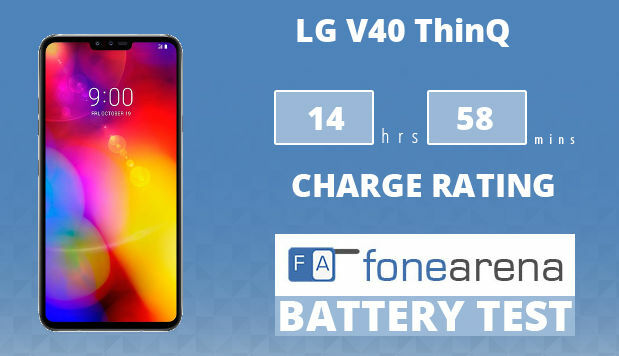 The LG V40 ThinQ is powered by Octa-Core Qualcomm Snapdragon 845 Mobile Platform with Adreno 630 GPU under the hood. In our usage, we had absolutely no complaints on performance as it was snappy and smooth. The gaming experience was good as well without any lag or frame drop. The chipset is supported by 6GB LPDDR4x RAM. Check out the synthetic benchmark scores below. 4. Versatile ‘Penta-camera’ setup, but..! 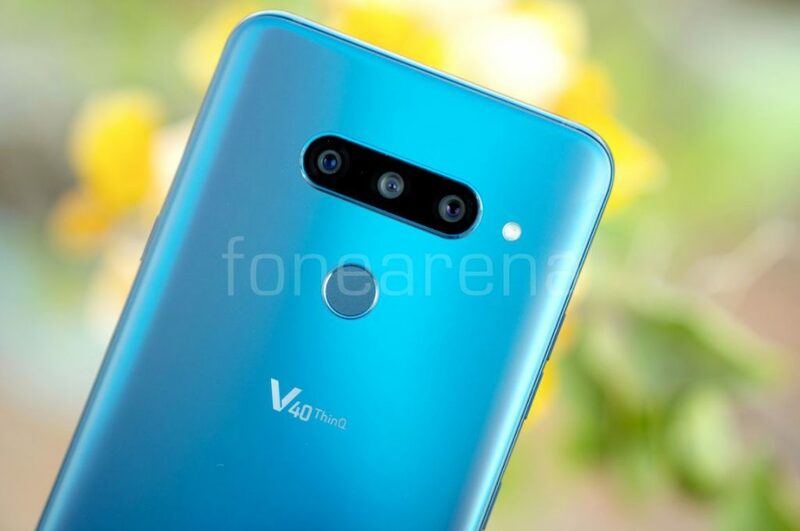 In general public opinion, the V40 ThinQ is also called as “The 5 cameras smartphone.” Three of the five cameras live on the back of the phone, a telephoto, a wide-angle, and a regular lens. That is three different focal lengths, so you can frame your video or photos in any way you like. I have always been a fan of LG’s wide-angle but implementing a telephoto along with it could be a game changer. On the front, the camera fun continues with 2 more shooters. A regular selfie camera and a wide-angle, so you can get all of your friends. 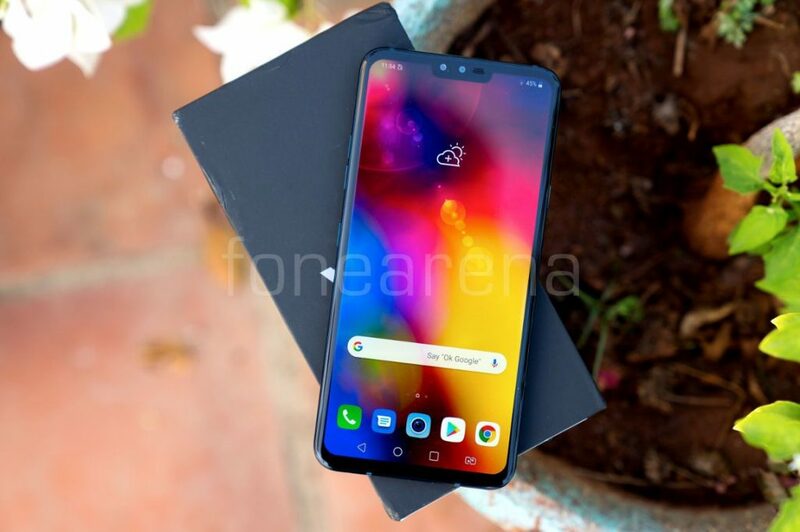 Talking about the specifications, the LG V40 ThinQ features a 16MP 107-degree super wide-angle, 12MP standard angle and 12MP telephoto with 2x optical zoom. 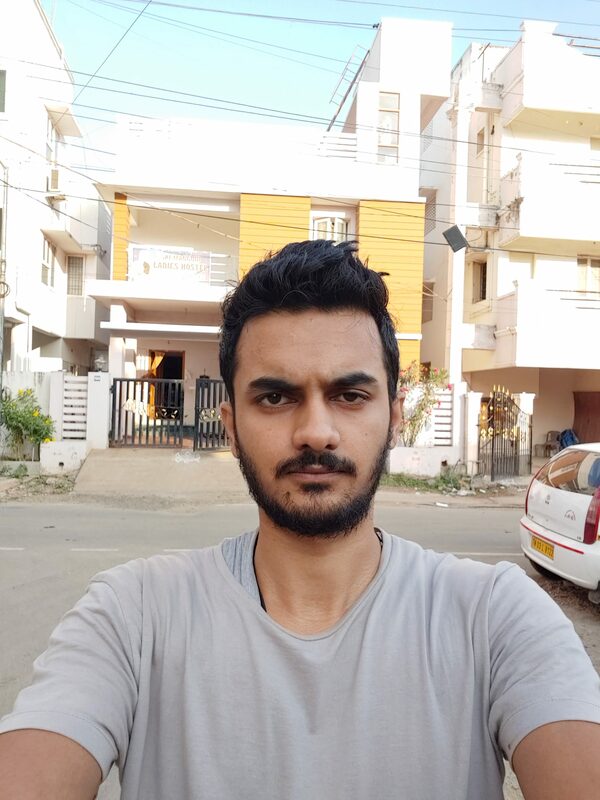 The front side is taken care of 5MP wide-angle lens and 8MP standard camera for bokeh effect with an on-screen slider to adjust the amount of background blur. It has Dual PDAF (Phase Detection Auto Focus) for automatic focusing that is 50% faster, advanced HDR feature analyzes and determines the right exposure settings to create perfectly lit shots, AI Auto White Balance (AI AWB), AI, Shutter selects the right shutter speed, especially useful when trying to capture fast-moving subjects, Cine Shot, 3D Light Effect, Makeup Pro, Custom Backdrop, My Avatar and AR Emoji. Out of three cameras, you can switch between the three sensors with the respective markers in the viewfinder. Moreover, there are Triple Shot feature stitches together the images captured with each of the three lenses into a short video file for easy sharing. Talking about the real world usage, the primary camera produces a well-detailed image along with neat colour tone. 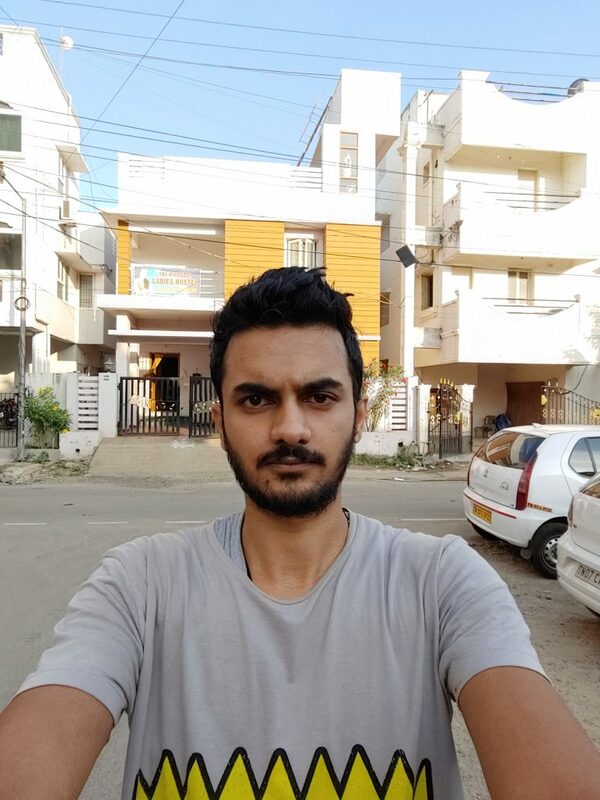 Having said that, we observed a quality drop-off in the wide angle of the LG V40 ThinQ. We did witness blurry and soft edges in the corners of most photos we took. There is no OIS support for the wide-angle lens, though. Furthermore, the telephoto lens is not all that impressive, since most of the output came out blurrier-than-normal shots and noisier. 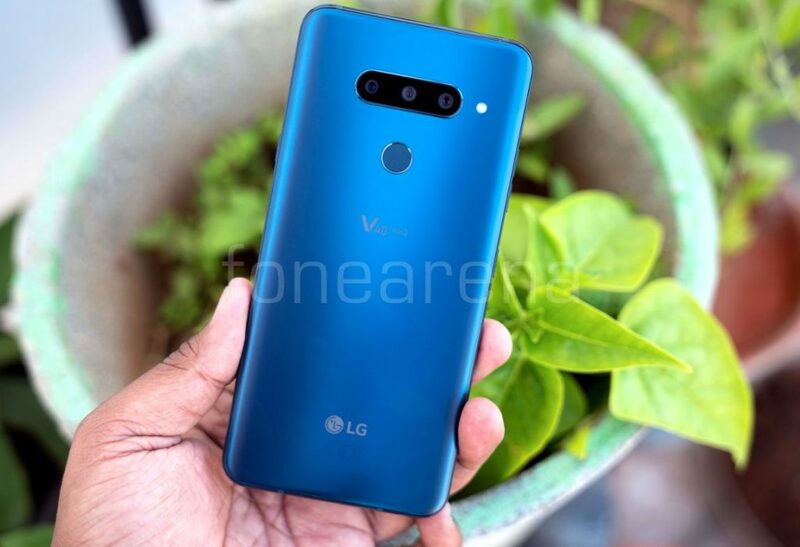 LG upgraded the front camera for V40ThinQ with 8MP, and that’s good news if you’ve used V30. When compared to V30, the front camera performs better and delivers solid output under all condition. The camera app has a portrait mode which does a decent job with edge detection for both static objects and human subjects. For video, the LG V40 ThinQ can shoot at up to an impressive 60fps at 4K resolution. The quality of videos came out very well under daylight condition without any glitch. With the wide-angle camera, you can shoot at up to 1080p. Check out more camera/video samples here. One of the major drawbacks or rather a dealbreaker is its 3300mAh battery with Qualcomm Quick Charge 3.0 (Quick Charge 4 Compatible), Wireless charging. 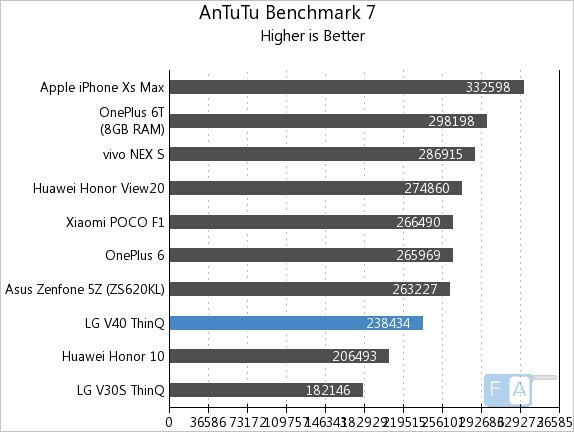 Even though it passes, still its smaller compared to the top-performing competition like OnePlus 6T, Samsung Galaxy S9+ and Galaxy Note 9. Talking about real-world usage, you will get a full day of battery life if you refrain from using it heavily. With heavy usages like binge-watching Netflix or YouTube videos for that matter can drain the juice very quickly. On a day to day basis, I got a screen on time (SOT) of around 4 hours 30 minutes to 5 hours at max in FHD resolution. The problem here is you don’t get capacity buffer that allows you to use some extra video streaming, or audio without jeopardising the battery draining altogether before a day ends. In our OneCharge rating it scored just 14 hours and 58 minutes, which is less than the OnePlus 6T, HUAEWI P20 Pro and the other flagships in the similar price range. Since this comes with support for fast charging, and comes with Quick Charge 3.0 charger in the box, it can charge from 0 to 100% in 1 hour and 45 minutes and 0 to 50% takes about 30 minutes. 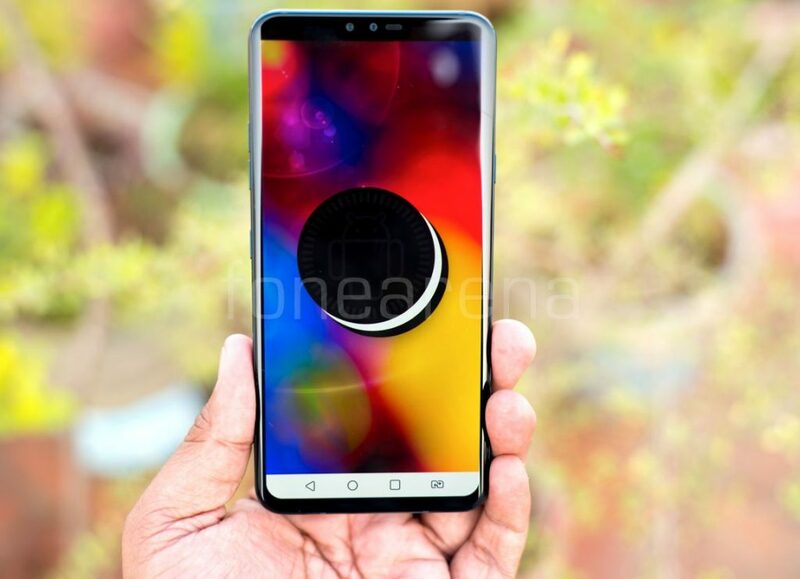 We live in an era of Android 9.0 (Pie), while the LG V40ThinQ is still being shipped with Android 8.1 Oreo. According to the company, the Pie roll out for the V40 will be somewhere around early Q2. To be frank, I am not a huge fan of LG’s interface. Notably, the LG V40 ThinQ doesn’t have a notification LED, but you can enable the always-on display. Having said that, the level of customisation it offers is decent. 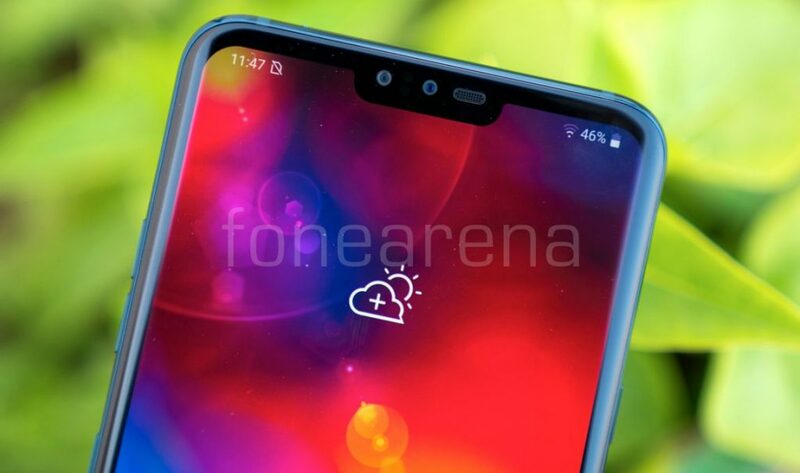 It also the second screen that fills up the notch on top not only with black but also with different colour gradients. There is also an option to select the Home screen style. Unlike other app drawers, LG’s is paginated rather than a vertical scroll. The LG settings menu is organised in four different tabs and it’s hard to find options you might actually need. 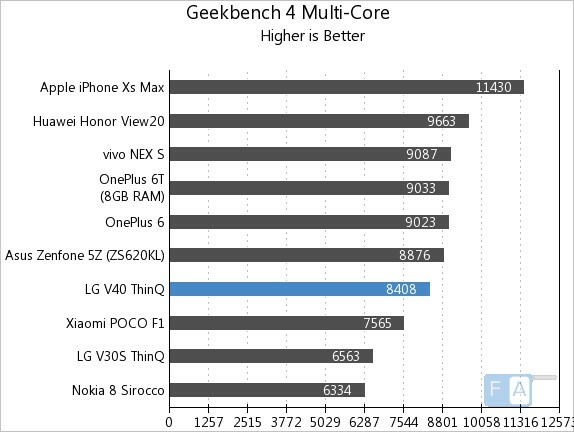 The overall visual appeal is not as good as other companies like OnePlus, Samsung or Pixel for that matter. LG needs to work on toning down the UI for more function approach. 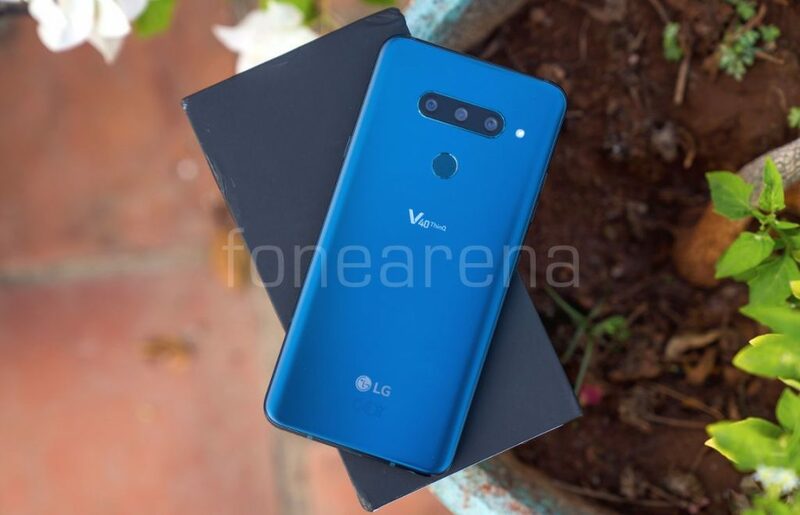 The LG V40 ThinQ is available in New Moroccan Blue and New Platinum Gray colours in India at a price of Rs. 49,990. 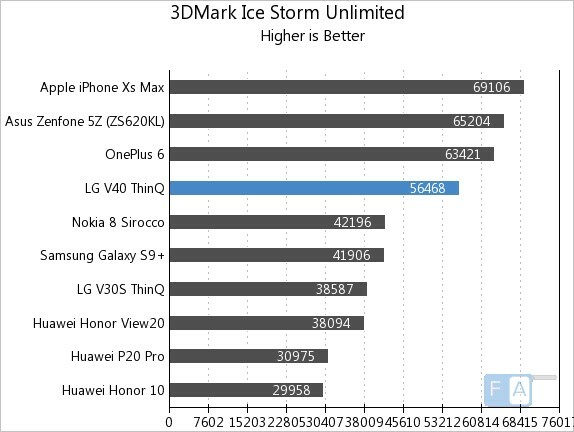 Even though the price is justified on the paper, it’s not the case in reality, especially when compared to other flagships in the price range. But, it’s worth considering at a discounted price, though. Go for it, if you want to explore photography with different features, and of course the video. 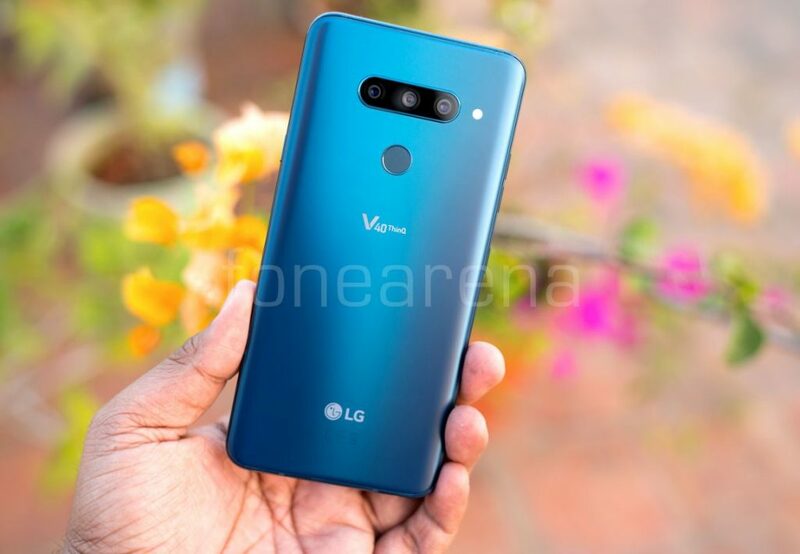 The LG V40 ThinQ supports connectivity options like Dual 4G VoLTE, Wi-Fi 802.11 ac (2.4GHz and 5GHz), Bluetooth 5 LE, GPS, NFC, USB Type-C 2.0 (3.1 compatible). It has a hybrid dual SIM slot (nano + nano/microSD up to 2TB), in addition to 128GB (UFS 2.1) built-in storage and employes fingerprint scanner at the back. Just like LG V30 and G7 series, the V40 ThinQ also comes with a resonance chamber Boombox speaker. To make it simpler, the V40 has just a single bottom firing speaker, but the whole phone acts as a resonance chamber, which helps in pushing out some good and loud audio with decent bass. For this to happen, the internal hardware needs to be arranged in a certain way, which is awesome. In this case, watching a video or listening to music in the loudspeaker will make the whole phone vibrate. The audio quality through loudspeaker and headphone is impressive. Moreover, this device lacks FM radio. The call quality on this device is excellent as well. 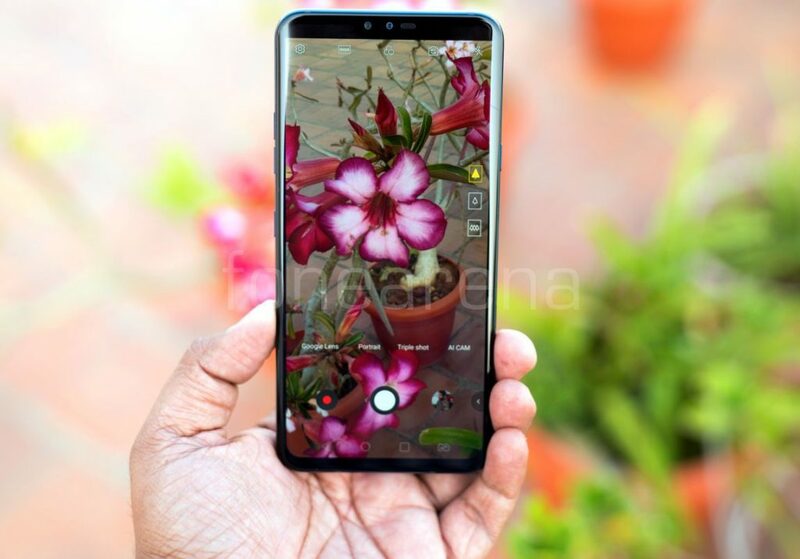 At the time of writing this article, Huawei P20 Pro is being sold at the same price Rs. 49,990. Other options include Samsung Galaxy S9, Google Pixel 2XL, OnePlus 6T, and the LG G7 ThinQ. 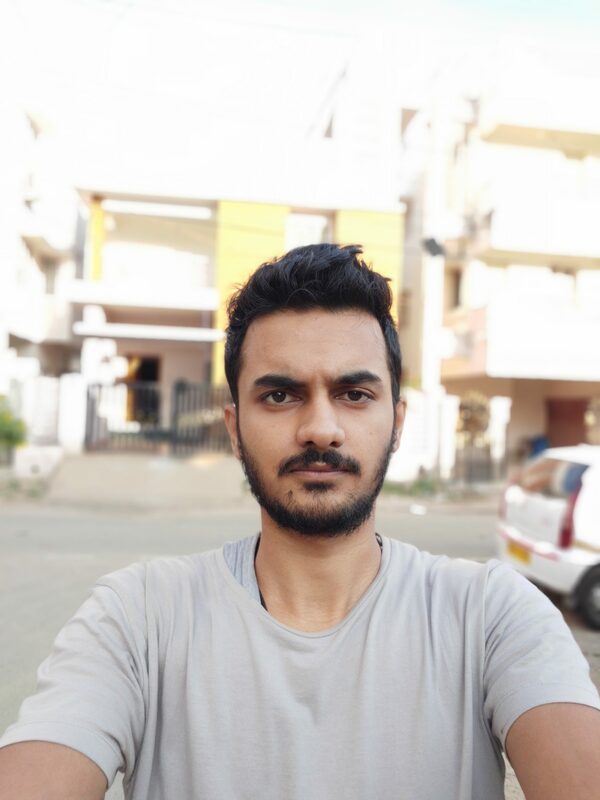 The OnePlus 6T is one of the best smartphones available right now in the market at a cheaper price, but there are some compromises like lack of IP certification, wireless charging and the 3.5 mm audio jack.